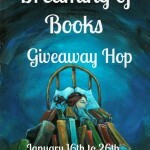 Blogo-Birthday Celebration and Giveaway – Escape Reality, Read Fiction! I’m going to go with Tarnished. It’s been a long time since I read a Lori Foster book~ I’d love to reconnect. Thanks for sharing. I would pick forgiving lies. Hope you are having a great birthday. 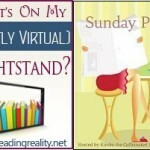 Pingback: Stacking the Shelves (83) | Escape Reality, Read Fiction! Happy Blogoversary!!! Here’s wishing you many, many more 😉 I’d pick the Molly McAdams books since I haven’t read any yet. Thanks for sharing! I don’t know because they all sound like they might be good. I think I would pick The Clockwork Wolf. I WOULD LIKE TARNISHED.HAPPY BIRTHDAY AND THANKS FOR THE GIVEAWAY! I checked out excerpts on all the books on Amazon and I loved the one on Tarnished by Karina Cooper! I’d love to win a copy and be able to read the entire story! After reading the just the first three sentences I knew right away that I wanted to read “the rest of the story”! Tough choices. I’m going to go with Tarnished by Karina Cooper. Thanks and Congrats on both your Bday and Blogiversary!! I would love Dash of Peril by Lori Foster! Thanks and happy blogo-birthday! Happy Birthday and Blogversary to you! I have my eyes on Lori Foster’s Dash of Peril. Thanks for the chance to win! Tarnished by Karina Cooper! Happy Blogoversary! My first pick would be Dash of Peril . Thanks for the giveaway! I would pick Deceiving Lies. Happy Birthday and Blogoversary! I’d pick Tarnished. I would chose retribution . I’d go with Tarnished, but they all sounds good. Tarnished would be my first choice.